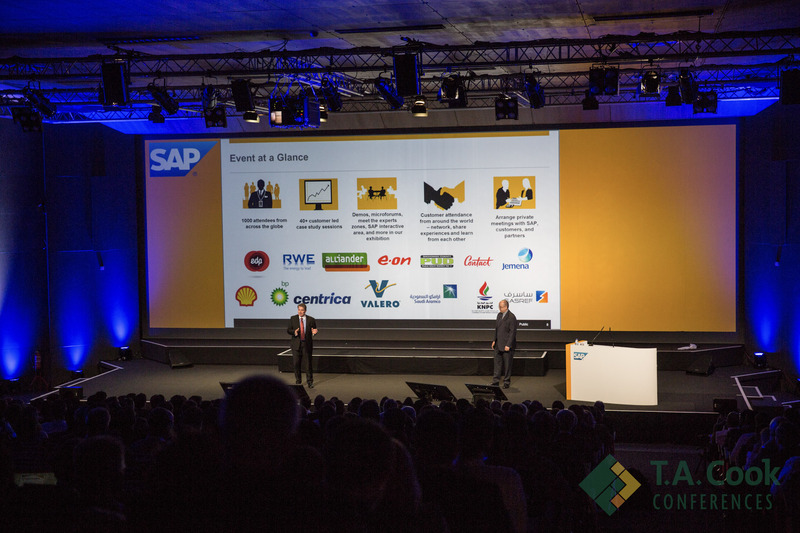 Last year, I had the pleasure to be at the International SAP Conference for Utilities. I met many nice and interesting SAP customers, prospects, partners and colleagues who all have one thing in common – the passion for the utilities or oil and gas industry. If you work in this industry for a while you will notice that’s like a big family. This year’s conference will take place once again from April 17-19, 2018 in Lisbon, Portugal’s beautiful capital with the focus area Reaching New Heights in a Digital World. Because of the great success in Lisbon, we decided to held the event once again at this great place in South Europe. Tracks, live solution demonstrations and interactive session focusing on Cloud and Data Platforms, SAP Leonardo, Machine Learning, Bockchain, Digital Transformation and Artificial Intelligence. We will have high-profile speakers, such as Cyber Security Specialist Patrick Miller, and Stephan Parthier, Senior VP Corporate IT at Uniper. 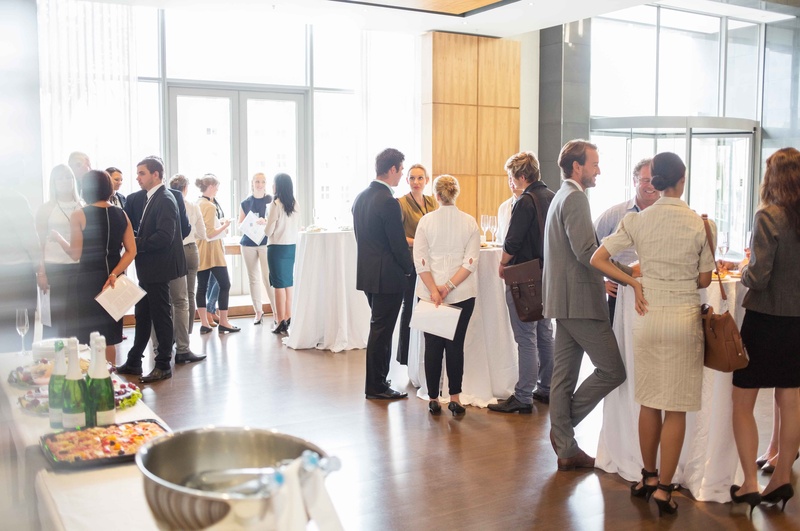 Customers, partners and SAP employees will share best practices and you will have the opportunity to collaborate wtih others from the Utilities business. Take a look at the agenda. In the next weeks, we will further inform via this community about our activities and will add these publications to this blog. How Can Monitoring Connected Assets on the Grid Improve Uptime? Guest Keynote: Shelter in the Storm – Cybersecurity in Modern Energy and Utilities: Cyber security specialist, Patrick Miller is one of the guest keynote speakers for the event and will cover the global threat landscape for energy and utilities. T.A. Cook, who helps us to organize the conference, caught up with him to discuss some of the themes and topics which are due to be covered at the conference. Request a copy of the interview. Listen to the stories from customers and partners on the digital asset management topic, which is becoming increasingly significant. Chris Ford from SA Power Networks, Australia will be presenting how his company has deployed agility, mobility and digitization in response to the energy transition. EnBW and AED-SICAD will hold a joint presentation on ‘Integrating ArcGIS into the SAP GUI Interface at a Leading German Multi-Utilities Company’. As part of our IoT track, one of the leading energy providers in Europe, E.ON will hold a presentation on ‘Automation of SAP Software–Based Utilities Processes with Robotics’ on Wednesday, April 18th at 5 pm. The following video shows how E.ON is embracing digital transformation by leveraging the full potential of the SAP Cloud Platform with help from SAP Leonardo Innovation Services. This track provides two presentations on blockchain. Our customer Dubai Electricity and Water Authority (DEWA) will talk about blockchain and prescriptive/predictive analytics in customer services. There will also be a SAP Leonardo Blockchain presentation highlighting the business concepts for blockchain, the relevance for the energy industry, innovations and use cases for the utilities industry. Read the following blogs from two SAP experts. Discover in this track how you can accelerate digital transformation using an integrated cloud platform that enables utilities companies to pursue new digital business models and achieve sustainable growth. Learn about trends in the utilities industry and how digital business models influence all areas of an end-to-end utilities value chain in this document. Join the SAP presentation on the SAP for Utilities Cloud to learn more about the new cloud-based industry portfolio, the solution architecture and planned development roadmap. We are delighted that our customer Eneco, a leading network operator in the Netherlands, will share their ERP cloud strategy experiences on April 19th, 2018. Drive profitability and customer loyalty by establishing a 360-degree view of customers and delivering personalized offers for each stage of the decision-making process. This track provides a customer case study from Jemena about how they automated the customer experience. EWE Turkey will talk about the first implementation of the SAP Multichannel Foundation for Utilities and Public Sector in the Turkish energy market. Two utilities microforums where you can watch SAP-led 15-minute sessions on specific solution areas. Find out more about the SAP Transformation Navigator, SAP Services, the Asset Intelligence Network, the Digital Prosumer and the latest innovations on SAP S/4HANA Leonardo. Connect with appropriate experts and take part in a raffle and win a robot at the SAP info desk. Advanced energy service providers transform traditional utilities customers into prosumers who generate energy on their roofs, store it in batteries and use it in electric vehicles. We showcase how a prosumer’s life can be improved by proactively managing their energy and showing them the best products or services. The SAP Transformation Navigator (STN) helps customers chart their transition to an SAP S/4HANA-centric environment. Recently, the STN team won the Hasso Plattner Founder’s Award, SAP’s prestigious annual award for entrepreneurial achievement. Come to the booth at the exhibition with your S-user to get your personalized demo. Empower your asset management team to run at its best. Learn how the exceptional user experience in SAP S/4HANA and the SAP Cloud portfolio can drive efficiency. See how innovations, such as the network of digital twins along with enhancements to collaborative asset management, predictive maintenance, spatially enabled business processes, and mobile asset management can boost productivity. SAP S/4HANA for Customer Management (S4CRM) is a simplified version of SAP CRM embedded into SAP’s digital core powered by SAP HANA.Technically you can install it as an add-on on top of SAP S/4HANA, SAP’s digital core – which means that S4CRM tables are part of the SAP S/4HANA database scheme. Join this microforum to learn more about this recently released solution. We offer four different microforums about the digital front office. Read more about these workshops in Juergen Kuhmann’s blog. Watch the new SAP Hybris video and see how new services are emerging that combine new technology with business trends such as the sharing economy. As in previous years, Frank Ruland, Global VP and Head of Industry Ecosystem for ENR, is organizing a pre-conference partner forum during the afternoon of April 17. The agenda will be available shortly. AED-SICAD AG is one of Europe’s largest providers of state-of-the-art geographic information system (GIS) applications based on the platform for the utilities industry provided by Esri. Their joint presentation with E.ON covers integrating ArcGIS with the SAP GUI interface and will be held on Wednesday, April 18th at 15:15. Partner Pod: AG Consultancy & Apps / Delta Reliability Ltd.
AG Consultancy & Apps Ltd is a leader in implementing Enterprise Asset Management from SAP, and the creator of the Dysfunctional Safety Critical Elements (DSCE) solution. They are sponsoring the event in conjunction with Delta Reliability, leaders in maintenance and reliability engineering. They are presenting a customer case study at the Oil & Gas conference. Find them at their booth in the joint sponsors area. The 2018 SAP Industry Conferences for Utilities and Oil & Gas – Will you be there? As an SAP gold partner with SAP recognized expertise, Natuvion provides cost-effective, tailor-made guidance and tools that assist companies and experts throughout their journey to fulfill General Data Protection Regulation (GDPR) compliance. Listen to their webcast for the Americas’ SAP Users Group (ASUG) on GDPR, which will come into effect in May 2018. Please take a look at the event webpage to learn more about this conference. Last year, I had the chance to extend my stay and spend three extra days in Lisbon. We visited great places, enjoyed the delicious food, the sunshine and the nightlife. 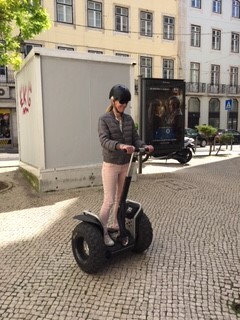 I will never forget the city tour on a segway. 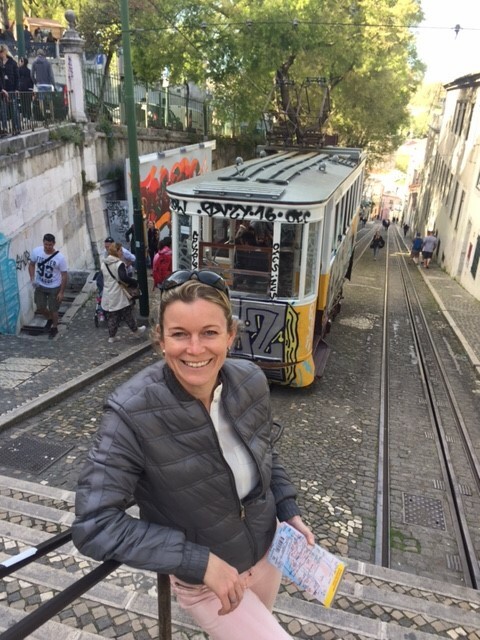 By driving through the narrow streets of Lisbon, I enjoyed the spirit of Lisbon and experienced lots of great places of this charming town. You will meet me at the SAP info desk. I will help you to find an appropriate expert, you can take part in a raffle, subscribe for the newsletter and more. Just stop by and say hello. I am looking forward to meeting you in Lisbon!